This gentle exfoliating lotion with 2% BHA (salicylic acid) removes built-up dead skin cells to reveal radiant, silky-soft skin. Formulated with potent antioxidants and skin-soothing ingredients, it softens and hydrates skin while diminishing blackheads and blemishes. I usually purchase the BHA liquid which I absolutely love, but I ordered the lotion in error. I was initially pleased with my purchase as I felt I used less of the product so it would save money, but after a couple of weeks of using it, I'm getting extremely painful spots on my chin. Something I've not had before, ever. The only thing I have changed in my routine is this. I definitely won't be purchasing the lotion again. 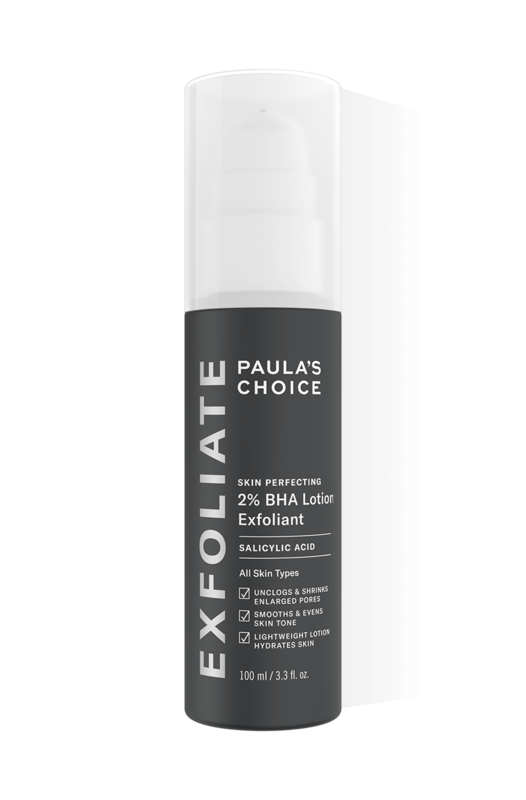 Paula's Choice non-abrasive exfoliant products are the best formulated, affordable and effective on the market. I've been using the Skin Perfecting 2% BHA Lotion for years. I regularly use this line's BHA exfoliant products twice daily - this lotion typically used at night after cleansing and toning. I use a pump and a half, at most, for my entire face and neck. The generous amount of product in stable packaging lasts me a couple months at least. This is the most moisturising of Paula's BHA creams for the face. It's soothing, I've never had an adverse reaction with this gentle product. Honestly one of the most effective products I've ever used for my skin. Tightens pores and has greatly helped decrease the frequency and overall inflammation of my acne flare ups. Obviously not a miracle cure and does cause some flakey skin after use but a good moisturising routine usually solved this pretty well. Overall a great product and definitely something I would recommend for anyone who suffers from acne - I bought it on a whim and it was one of the best decisions I've ever made! I have combination skin that is also quite dehydrated and this is one of the few products I've tried that helps keep congested pores and breakouts at bay. I prefer the lotion to the 2% BHA liquid that everyone raves about as it gives my dehydrated skin that extra bit of moisture whilst also not breaking me out on the oiler parts of my face. I stopped using this for a while and was horrified as my skin gradually got worse and worse. Since adding it back in to my routine my skin has slowly started to clear up as it works its magic again. I normally use the bha liquid exfoliant, loved the results and simplicity of it in my routine. My skin has been drier and in need of hydration so I ordered this formula instead. It's a different consistency to the sample I had used. Within a week of using it -and it was the only change in skincare-my skin was aggravated, drier and lost all the clarity and brightness that the liquid version had lent it. It also caused my perioral dermatitis to flare up. Never an issue with other PC products. I would not repurchase the lotion again in its current formula and I now have a nearly full bottle of product that I am unable to use. Sadly I can't recommend it. Very rare for a PC product as it forms the majority of my skincare. Customer Care: Hi Tanirainbow, thank you for sharing your experience with us - we're sorry to hear this didn't work as expected for you! Please contact a member of our Customer Care team, who can assist you with a possible alternative. I tried a sample of this and it made my skin feel pretty soft and smooth so went for the full-size, eagerly anticipating greater improvement. I have been using it strictly as part of my routine and haven't seen any major benefit. It hasn't helped at all with my biggest concerns, blackheads and milia, and I still get breakouts at the same rate as I did before I started using it. I can say that I have noticed an improvement in the texture of my skin but aside from that this product is underwhelming. Also it seems to collect dead skin cells when used after cleansing- when applying this I notice little solid specks that gather in the lotion on my face. Odd! Customer Care: Thank you for your review. We are sorry to hear that this product has not worked for you. Perhaps a 2%BHA liquid or gel could be more effective for stubborn blackheads and breakouts. Please contact our customer care team to help you find the right products for your skin type and condition. Have been using this for about two months after ordering a trial size. Can honestly say it is one of the best skincare purchases I have ever made. Because my skin is quite sensitive, I tend to us it once every two days, rather than twice a day, every day, as per the instructions. Using it that often made my skin oiler overall. Since getting the frequency right, my skin has become better than ever. Small bumps on my forehead have disappeared, my pores look smaller and I have fewer blackheads. My skin feels ultra smooth, and monthly hormonal breakouts are practically non-existent now. This has definitely become a staple in my skincare routine. I've been using PC products since 2003, and after giving it some thought, I can honestly say this is my absolute favourite product. I have drier skin, especially on my cheeks, after using blemish treatments in 2007. I used to use the 2% liquid without fail, but then needed something thicker. This lotion is moisturising, but somehow also quite light. It sinks in instantly. Every time I run out of a bottle (9-12 months of use) I will see if I can stop using the product. However, I back down and repurchase it again. Every. Single. Time. Because nothing keeps my skin clear and moisturised like this does. Nothing compares to it. My skin is not the same without it. Unfortunately it isn't as good as gel. It doesn't get rid of blackheads and spots and keep skin stable. Gel also made my skin glow and lotion makes it flat and almost greasy which is weird because I have normal to combination skin. I wish I could just buy gel now but I still have a lot of lotion left as these do last a long time and can't afford to just waste my money. Also, I need 1.5 to 2 pumps of lotion whereas I only needed a pump or even half a pump with gel. Gel lasted me for over a year of everyday use. Bit upset about this. This product takes time to work, so do not expect one application to change your skin. at aged 40 my skin broke out horrendously, especially on my forehead. I had under skin bumps on my forehead, that would occasionally erupt into huge painful spots. I am aslo dark skinned, so would be left with hyper-pigmentation, alongside a bumpy skin texture. After research, I decided to purchase this product. Over the months my pores cleared, the spots reduced and the hyper-pigmentation began to fade. It does sting momentarily on application, but other than that no adverse reactions. I still get the occasional spot, but nothing major. I will continue to use and although pricey it does last a while. Try it, but be patient. I've been using this product for about 6 months, and I'm not even half way through the bottle. The pump works really well and it's easy to control how much is dispensed. I use a pea sized amount for my whole face. It leaves a thick white residue which disappears within minutes but it has improved my skin. I recommend it. RUTH - Finally... clear skin! I stumbled across Paula's Choice whilst browsing the internet. I am a self confessed beauty product addict! For years I have suffered from roseacea and not managed to find a product which helps, hence always looking for new products / advice. I've had long courses of antibiotics and every prescription cream to little effect. I emailed Paula's Choice for advice and got a tailor made prescription of products emailed within minutes. I can only afford one product at the moment, so chose this - WOW WHAT A DIFFERENCE!!! I can't believe that my chin, nose and forehead have been clear for 2 whole weeks! I have never been able to exfoliate before without making the roseacea worse, but this has only had the opposite effect. It is so gentle and makes my skin so soft and clear. Thank you to Chantal and all at Paula's Choice. I can't wait to buy my next products from you. I was extremely excited to buy this product for my combination and sensitive skin. I chose the lotion over the gel as it was the safer option for my temperamental, sensitive face. The product worked well to smooth my skin but unfortunately 1 month in, the pump stopped working. Having to screw the lid off for every application is a bit annoying and I expect better packaging when I'm paying £23! Customer Care: Thank you for allerting us about this problem, we have located your account and will contact you by email with a sollution. I have combination skin with an oily T zone and areas under my nose and either side of my chin that are prone to redness and dryness. I have always used the BHA liquid exfoliant but the dry patches on my face wouldn't shift. I reduced usage to once a day but the dryness remained. Although I prefer applying the liquid exfoliant, switching to the lotion exfoliant now means that I have no dry patches whatsoever. I still use the liquid exfoliant on my neck, chest and forehead but stick to this on the rest of my face. This suggests that the liquid exfoliant was too strong for the more sensitive areas of my face, making this perfect. All of the Paula's Choice exfoliants are outstanding. I think you need to try the different consistencies to find the right one for you. In my case, I need to use different exfoliants on different parts of my face and they work perfectly. Karatosis - Not as good as the reviews? Not really getting any result from this product. Using for a few months now. Customer Care : Thank you for your review and we are sorry to hear about your findings with the Skin Perfecting 2% BHA Lotion. It takes experimentation to find out what works for Rosacea. There is no one treatment that will work for everyone. - and a moisturizer with a well formulated sunscreen of SPF 15 for daytime , with titanium dioxide and/or zinc oxide, along with healing ingredients such as antioxidants and skin-repairing ingredients. Paula Begoun has written an article about keratosis pilariswhich you can find on our website in the Expert advise section. In this article you can read that it is best to use a gentle, water-soluble cleanser. Furthermore, the use of a BHA exfoliant can help. KP is a very stubborn condition and it can take quite a while and ongoing use of the product before you see results. An alternative for you to try our could be our Skin Perfecting 2% BHA Gel. I have decided to post my review under this product as i feel it has made the greatest difference to my skin, but i also use the 'clear' cleanser, skin balancing toner and mattifying moisturiser. I started using Paulas products about 6 months ago after 15 years of terrible cystic acne and trying everything under the sun from acid peels, antibiotics, scary drugs from the hospital and any so called miracle product out there. Im 30 and untill recently was still fighting my teenage skin. I had noticed my skin looked alot older than my clear skin friends, which i attributed to 15 years of harsh blemish fighting treatments. I came across paulas choice products when i was looking for anti-aging and anti-acne products that wouldnt do more harm to my skin than good. From first use the products calmed my skin, reduced redness and improved the look of my skin. I have always had quite oily skin and thousands of blackheads all over. I can honestly say that after 6 months regular use of paulas products my skin is no longer as oily , i have minimal blackheads, i have had no acne for atleast 3 months now (not even the regular hormonal outbursts), deep purple and red acne scars that i have had for years have faded and i have no need for the layers of concealer anymore , and my skin feels and even looks 'good' now! I had given up hope of ever having clear skin, and was certain the acne would return as usual, but it just hasnt. I woke up every morning and went to the mirror reluctantly to see what new acne had appeared overnight as it usually did, but everyday my skin was clearer and clearer to my amazement. I feel that i have had the most difficult to treat and most severe acne and had exhausted all medical and cosmetic treatments. I am nothing more than astonished at how my skin now is! I have waited 6 months to post a review as having tried everything i was convinced the effect would be temporary but I am now certain that my acne wont be comming back! Im only kicking myself i hadnt found paulas choice 10-15 years ago and i could of avoided all the years of frustration and disappointment . I cannot praise the products enough, and strongly encourage anyone struggling with troublesome skin to try. I honestly believe if it can improve my skin this much, it can help anyone. The most heart felt thank you. Its thick so it takes a bit of time to sink in and also to blend into the skin however it is moisturising than other BHA products. The clear toner just made my skin really tight even tho I have blackhead prone skin, I like the packaging and its easy to use with the pump, so trumps up for that however I wont buy this again because I think the gel will be best for my skin as it is in between the liquid and the lotion. I ordered the 2% BHA lotion after suffering months of breakouts after coming off the pill, aged 40. Nothing seemed to be working, and some products just made the situation worse. I'm really impressed with this stuff; within a few weeks it's really calmed my skin down, has prevented further breakouts and has helped scarring from previous breakouts to fade. I almost feel like my old self again. My skin tends to be oily, but unlike other reviewers I've found the lotion to be just the right consistency. I use this at night and my normal spf15 moisturiser during the day, and all seems to be well. I expect to stick to this regime, which has done more for my skin than any of the other anti-breakout products I've tried. me :) - love it! This was ordered in error as I have previously had the BHA liquid. I thought i'd give it a go as I have also read some good reviews on this product however it's not for me. I was using the liquid which did help to reduce the clogged pores I have on my cheeks, chin and jawline. Since I've started using the lotion the clogged pores have increased, I dont think the lotion is to blame but it just doesnt do the job of clearing them like the liquid. I think it is most likely a bit rich for my combination skin. I will definately be going back to the liquid and hope it can clear my skin again quickly.Customer Care: Thank you for your e-mail and we are sorry to hear about your experiences with the 2% BHA Lotion. Indeed the lotion is normally recommended for the dry skin and not for the combination skin. I have never written an online review for a beauty product before, and i buy A LOT of cosmetics. let me just say the reason i am writing this is because this product CHANGED MY SKIN. i've been using it for around 3 weeks. at first i didn't like it, it seemed to just make my skin dry and flaky. but now i use it once only at night (twice a day is too much for me), with nothing else on top of it. it has cleared our the persistent blackheads on my nose and chin, which no other product has ever done. i have had ok skin, never any really bad acne, but the most congested pores on my nose since i was a teenager (i'm now 25). seriously, i would have to extract them EVERY day before i used this product. for the first week it seemed to loosen the blockages, which i just extracted at night and cleansed then pure the BHA on. it's kept them away now i have only a few remaining, instead of dozens. my skin is all around smoother too, fine lines on my forehead have lessened. I LOVE THIS STUFF! just a word though, you have to be consistent with it or the skin problems will come back. i don't mind though, i'm happy to follow this routine religiously because it works. only downside is the price, which is why i have knocked off one star. it is rather expensive, and i can't work out which if the ingredients are so costly to source/manufacture? couldn't you price is lower? small complaint though in an otherwise brilliant product. i will use as long as my skin responds well to it. Lindsey - Good for oily skin too!! Tried the other bha's first, but find I prefer this, as even though it's not recommended for oily skin it applies much better. It also works just as well, but seems less harsh on my skin than the gel - also don't feel the need for moisturiser at night when using this. All the bha's work amazingly well, I have got rid of blackheads on my t zone that seem to have been there forever!! It's not a miracle worker, but way better than anything ever used before, loads better than the clarisonic which just brought me out in spots after regular use. I am a Paula's choice convert!! Maria - My favourite product, can't live without it. This is gorgeous, creamy, it's an exfoliant but it feels like a moisturiser. It doesn't tingle or become uncomfortable. But best of all, I used it for a month once a day and my skin became silky smooth, much clearer and luminous. I had very dull, dry skin, and at the same time I had blackheads around my nose and visible pores here and there; this has completely changed that. After two months now, I need less moisturiser, my skin is comfortable all day long with less blackheads, wrinkles appear reduced, less prominent. Absolutely lovely product. This exfoliant was pretty good at shrinking the size of the blackheads I have around my nose, although it didn't remove them all together and didn't make any difference at all to the ones on my chin. I found that if I used it more than once every two days, I got a lot of dry flaky skin around my nostrils, but it wasn't too bad. I just stopped using it for a week or so and then just used it every other evening and it hasn't been a problem again. I think that next time, I'll try the 1% liquid. 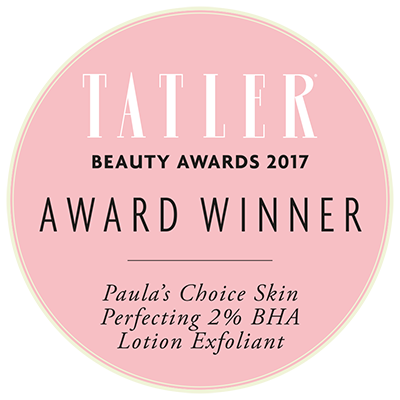 If your not familiar with Paula's choice please google them, you will find hundreds of success stories in blogs, other website or recommend by dermatologists with how amazing they're products are for your skin. I finally feel like I've found a brand that JUST WORKS! no ridiculous packaging or airbrushed advertising, just simple straight to the point way to sort your skin problem out. This product is great if you have dry skin, I use it nightly before bed and I don't feel like i need to use a night time moisturiser on top of it. Just this one product after cleansing and toning and I'm done. Now this product is fantastic at keeping at bay general spots, the odd blackhead and it completely got rid of those annoying under eye milia however the stubborn blackheads and white heads i have around my nose and chin (which were the reason i bought the product) did not budge. It did not make them worse but it did nothing to reduce/ remove them. If you like me suffer from this kind of chronic/ not willing to budge blackhead problem then i don't know if this product will work for you. Like I said great for a whole number of other things but just did not help my main problem. For this i will be purchasing the BHA 2% gel. I stumbled across Paula's Choice products when looking for an alternative to the very expensive moisturiser that I had been using which was costing me £100 every 2 months. I have combination skin and had been suffering for decades with blackheads, blotches and frequent painful spots. I have been using these prodcuts since October 2011 and my skin has been completely transformed. After using this product for 4 months I no longer have any blackheads and no more breakouts. Of all the products that I ordered this one was the one I felt the most sceptical about as I'd never used a leave on exfoliant before and instead had been scouring my face for years with various abrasive products. What a joy to use something that actually helps with redness rather than causing it. As with all of the products a little seems to go a long way indeed. I have been using this twice daily and it's still good for at least another month. Thank you. I only wish I had found out about these earlier. Having used the 1% lotion, I thought a comparison would serve other customers well. Having normal skin - never too dry, never to greasy - this suits me rather well; the 1% lotion (although it soaked in very well) was very drying, and uncomfortable - I had to put moisturiser on straight away, rather than leave it for 30 minutes. With the 2% lotion, it does take a while to soak in, but it is so much more moisturising. I don't even have to apply moisturiser - it is very comfortable on the skin: I leave it on for 30 mins, and then apply moisturiser if I need to. The 2% formula has also proved much more potent, and I'm already seeing some beneficial changes after just one week of once-daily use; the 1% did not really make much difference. Rather than try the 1% first, I'd suggest the 2%, as it seems to avoid much of the harshness that the 1% suffers from; this is only my opinion, however. However, do beware, chaps, if, like me, you have a beard, it'll take some time to work in. I apply the lotion at night time, rather than have any embarrassment at work. I've heard so much about paula's products and having blackheads on my nose/chin area. I though I'll try 2% lotion as my skin is dry and gets irritated very easily. I've received this products a week ago and been using it since I am very disappointed, its so heavy and lives my skin greasy. I have not noticed any visible results this may be that I need to use it for longer period to see the results. I want to add that those who have dry skin don't be fooled by for dry skin description as this leaves your skin way to greasy, I wish I ordered the gel or wish they did exchange. I really wanted this produce to work :( Customer Care :Thank you for taking time to review this product. We can understand how frustrating this experience must be. While the response you have indicated is not typical, we understand that each consumer is distinctly different which means they may respond differently to our products (whether used alone or combined with other products). This along with everyday environmental factors can sometimes play a part in how someone will ultimately respond to a product or combination of products. For that reason, we have located your account information and applied a credit for the product. Please contact our customer care team if we can be of further assistance. Paula's Choice BHA products are my all-time favourite skincare items for their effectiveness, gentleness, and the wonderful results they give my skin. This Lotion is the version I use every winter, and it delivers on all of its exfoliating promises while adding a bit of much-needed moisture to dry winter skin. Pleasant and easy to use, reasonably priced. I can't recommend these products highly enough. This product really isn't worth the price. I used it continuously for weeks, but realised I was getting more breakouts than usual! As soon as I stopped using the product, my skin got better. I'm really upset this product hasn't really worked for me. I really can't think of any pro's, Because its not really a lot of product for your money, it doesn't do anything in terms of moisturising your skin. It's just a all round, waste of money, and product, and time! I really do suggest they provide samples of their products, that way you don't waste your money on something that doesn't work for you. Customer Care: The BHA products are exfoliating products. They can penetrate into the pore and exfoliate accumulated skin cells that clog pores and can also exfoliate on the surface of skin as well. After applying a BHA product we advise you to apply a moisturizer at night time and a moisturizer with SPF during daytime. We advise to start with a 1% BHA Lotion or Gel in order to see how your skin responds. Samples of almost all Paula's Choice products are available via our website.